No mayflies, but beautiful, functional products with a timeless design, with a lasting demand and selective distribution. 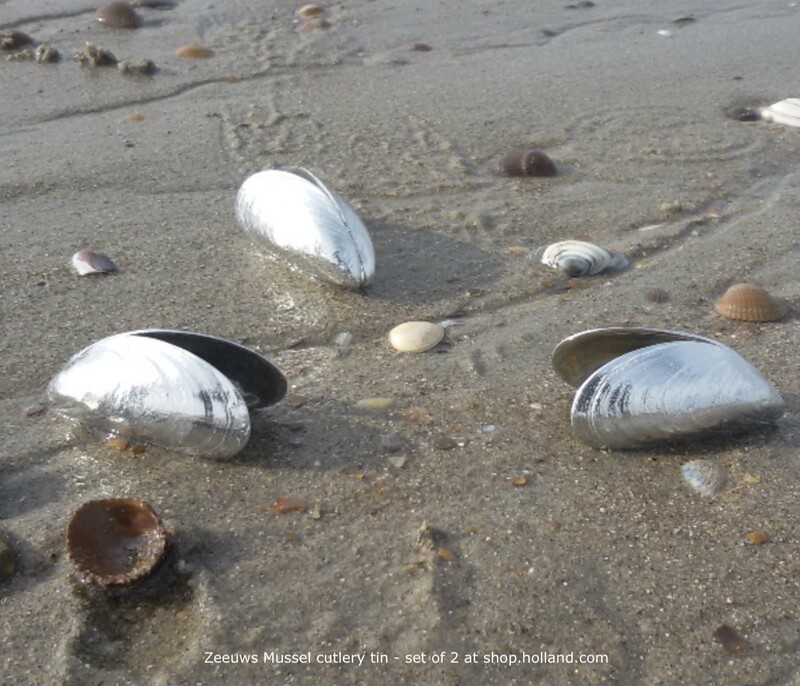 With this chic shells of silver tin, you reap those yummy mussels right from their enclosure. Mussel lovers often use the shell of one mussel to pick the next out of his shell. With this Zeeuws mussel cutlery, you'll never need to search for a suitable mussel shell. The built-in feather causes the mussel cutlery always to open to pick the next mussel. The silver tin mussels come as a set of two in a chic black box. A gem on the set table and a perfect gift for any mussel lover! With this chic shells of silver tin, you reap boiled mussels in a second out of their enclosure. And you can pick the fries as well. Mussel lovers often use the shell of one Mussel to pick the next out of his shell. 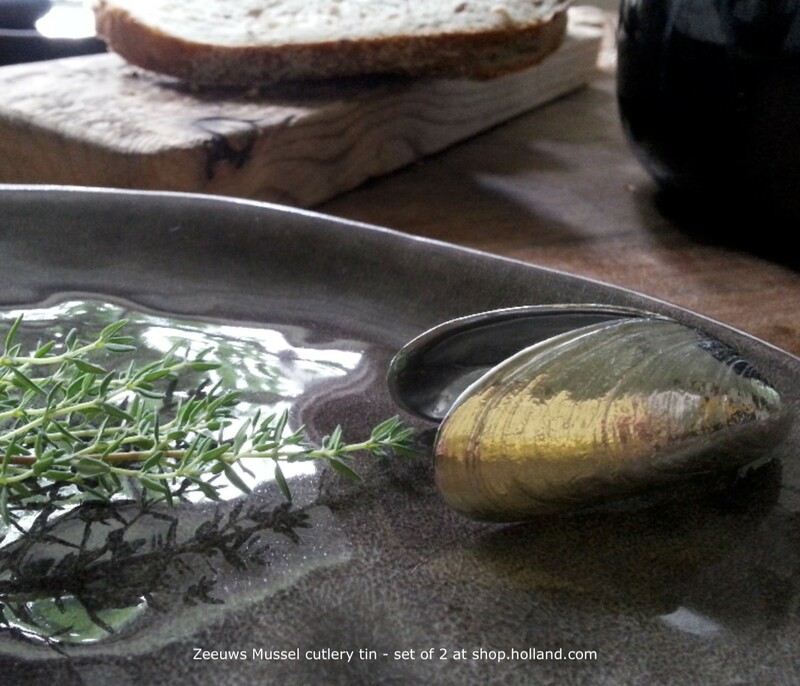 With the Zeeland Mussel cutlery, you'll never need to search for a suitable mussel shell. The silver Mussel has a built-in feather so that it springs back open to fish the following Mussel out of his shell. 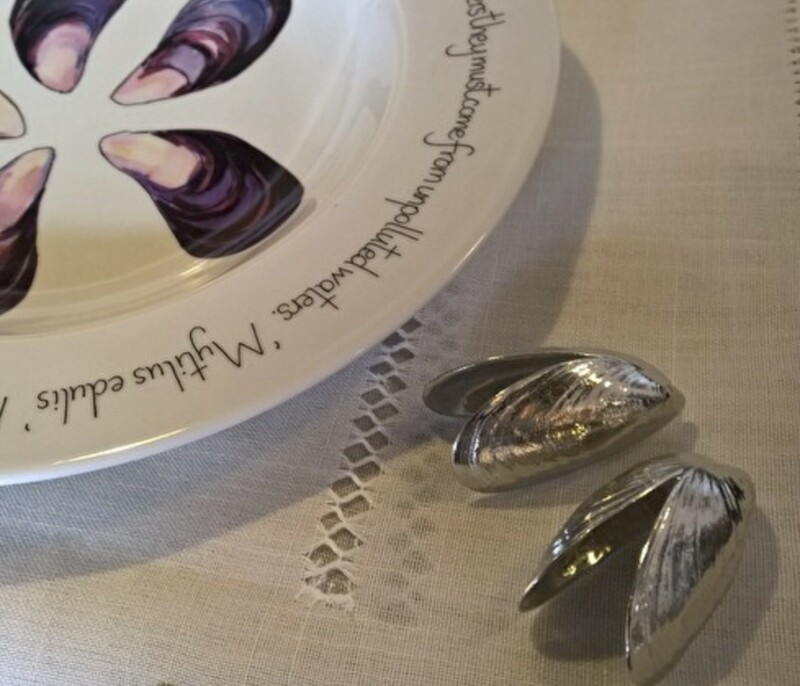 The Zeeuws Mussel cutlery has been developed from the love for the mussel culture in Zeeland, but not to remain only in Zeeland. 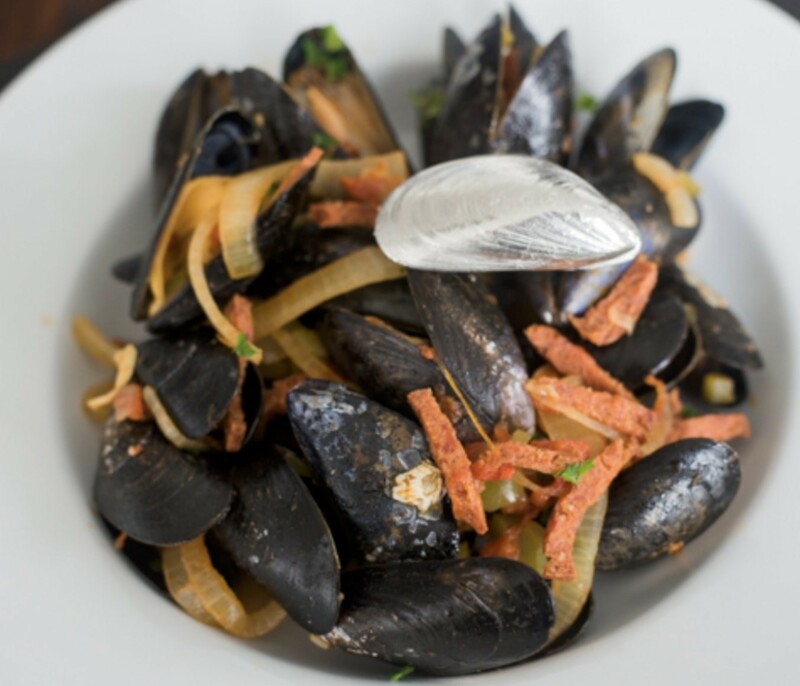 The mussel cutlery is not suitable for the dishwater, so rinse with warm water after use. The silver tin mussels come in a set of two in a nice black gift box. 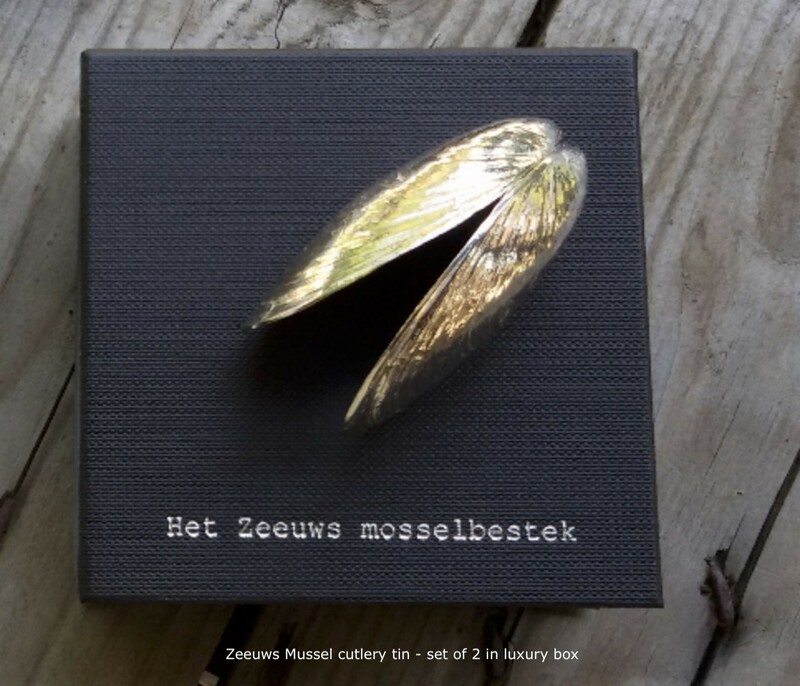 A piece of beauty on the set table an ideal gift for the mussel lover! 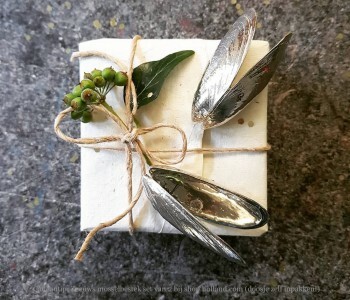 The Zeeuws mussel cutlery is cast in a silver tin. Tin can you finish in a number of ways: in an antique colour, matte or high polished. The high polished version is called silver tin, but there is no silver in it at all. Centuries ago, when you wanted to purchase a silver tea-or coffee set, but you had less to spend (or wanted to spend less), you would ask the tin-smith to make a silver tin set. The tin-smith made the set of tin and polished it, just as long until the tin shined like a mirror. This was sold as silver tin. In order to keep it shiny, you need to polish the silver tin at least once a year. Still, there are many products made of silver tin, for example, the Championship bowl of the Royal Dutch Football Association. located in the village of Dreischor in Zeeland, develops and manufactures products from the Zeeland culture. The ambition of Alex and Susanne den Hoed – the duo behind Anovi - is to develop and launch a new product every year and to manufacture it locally. No mayflies, but beautiful, functional products with a timeless design, with a lasting demand and selective distribution. The Zeeuws Mussel cutlery is a good example.